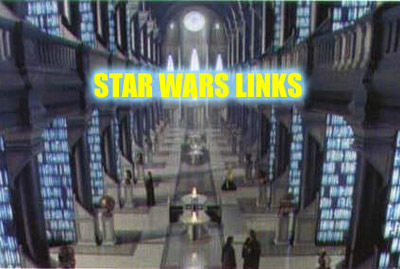 The Official Star Wars Website This is the best place for official news and information about Star Wars. TheForce.net This is the best place for unofficial news, information, speculation, fun and pretty much anything else even remotely connected with Star Wars. Eklectia Here is a great fan site made by a friend of mine! Check out his fascination with the lekku'd ones. Jedi Net A very well put together little fan site. Without a doubt, it's pretty handy.